Have you ever had one of those moments when your house is a mess, you haven’t had a chance to clean up but then suddenly you get a call to say you have visitors coming over soon. Uh oh! 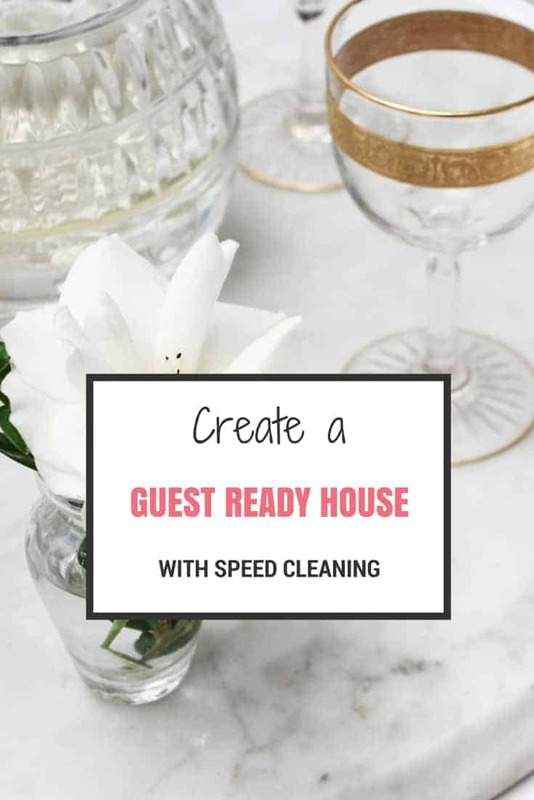 There isn’t time to do a complete clean up, so unless you are one of those totally organised people who sticks to a cleaning schedule week in and week out, chances are your house needs a bit of guest prep. Lucky there are ways to create a guest ready house on short notice with these speed cleaning tips. Put dishes in the dishwasher or wash up. Wipe over benches. Put away appliances that don’t belong on the benches. A guest ready house starts with a clean kitchen. The main places in many homes that accumulate surface clutter are the kitchen bench and the dining table. Clean the clutter from these spaces if you need to, and if you are really short on time, throw them in your washing basket and hide the basket in the bedroom until your guests have gone home. One of the first things most of us notice when entering someone’s house is a messy floor. Unless you are in the routine of vacuuming often anyway, or you have a robo vacuum that actually does a good job (mine doesn’t), then a quick vacuum in the areas your guests will be is a must. Kids, pets and general household traffic can make floors untidy very quickly so if you have the time, a quick run over with the vacuum cleaner should be high on your speed cleaning list. If you are likely to entertain at your table, indoor or outdoor, a fresh table cloth can give the appearance of a clean home. This also takes all of 30 seconds to do so it’s a great quick tip to get the house looking well kept. If there is time, put away any really obvious clutter such as kids toys or the messy shoe pile at the front door to give the place a neater look overall. Again, the washing basket may come in handy yet again for a quick clutter fix. Don’t forget, if you have too much clutter, you can always join the Simplify My Life declutter challenges – after you guests go home! And the final quick tip is to do something that will leave your house smelling great. Even when things are a mess, having fabulous smells can really improve the vibe. Light a candle, spray some air freshener. Anything to give your house a pleasant smell is a good option. If you are really super at speed cleaning, a batch of cookies would be even more impressive, baking away while you clean. Your guests will think they walked into somewhere pretty special, and with any luck any lingering mess will be forgotten anyway. 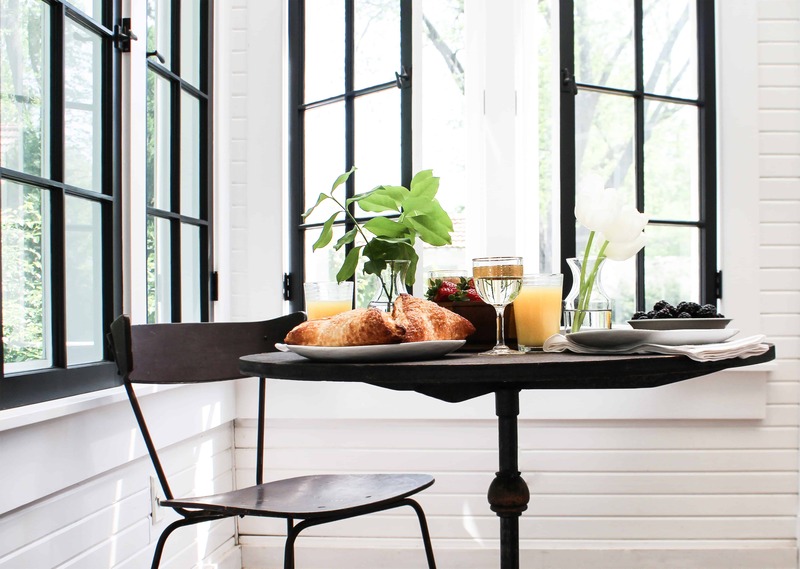 These Speed cleaning tips aren’t a solution to a clean house, but they give a quick fix to avoid giving your friends and family a heart attack when they walk into the mess it potentially was beforehand. Like most things, the best solution is prevention… but we’re human and humans can be messy creatures! What is the first thing you do when unexpected guests are on their way? If the guest is special I’ll usually run up a batch of scones – timed to come out just before the guest arrives – they take about 10 minutes to mix up and 15-20 mins baking and the smell is glorious 🙂 It is also one of those primal senses that will make people remember a place. Wood polish does the same job too – doesn’t need much because it’s not about the polish but the fresh smell of orange oil or eucalyptus oil. I agree with the other tips – clearing surfaces and getting the dishes out of the way and a quick wipe down of anywhere dust might have settled (TV/stereo and tables) Great post – thanks! These are GREAT ideas! I’m a total clean freak – but sometimes you do get caught out at the last minute!! Unfortunately I’m not a clean freak. I wish I was. You’ve got the right idea! Open windows is a good one. Anything to keep things fresh is a winner! Great tips! We often get unexpected visitors so my main tip is to try and keep the place vaguely clean so there isn’t much to do at the last minute. I always clean the loo before visitors come. If the loo is clean, people tend to assume the rest of the house is okay. Yes, the loo is always one of the first things I do too. I forgot to add that. Mostly because I don’t use the main one since we have our ensuite one but hubby does… And men seem immune to cleaning toilets lol mine is, anyway! Excellent tips! We keep a tidy house, but the first thing to slip, that I always fix, is the shoes at the front door.We have a basket at the door to put the shoes in, but the kids never seem to get that far, so a quick clean out there and a little blow with the blower/vacc, is such to impress from the minute they walk through the gate. Jokin, actually I have little shame these days, sometimes they have to take me in all my messy glory. Haha same. My parents are used to it so they don’t get the special treatment… Or they don’t give me enough notice anyway, if any! Great tips Holly. I wish my house stayed clean all the time! Great tips! This is very timely since I’m going to receive a visitor this coming week and because of my busy schedule, I don’t have much time to clean my entire house. Thanks for sharing these tips. So glad I could help. It can be hard when things are already hectic but hitting those really visible spots will make it look way tidier overall 😉 enjoy your visitor.